The Salomon S-lab Sense Ultra line of shoes has set the bar for lightweight long distance trail running shoes for the last few years and the 4th iteration is no exception. The upgrade on an already great shoe offers more toe protection and an improved sole designed to tolerate mile after mile of abuse. (See our review of the previous Salomon S lab Sense). This shoe is Salomon’s answer to the dry hot conditions that are often encountered in summer ultra running. Over the years, I have tried out many different styles of trail running shoes and for Utah, where I live, this shoe is a winner. The combination of breathability, solid grip for loose terrain, and durability is unmatched. Running here, where you are as likely to hit soft sand as kick a rock, the toe protection and rugged soles are a must and a nice surprise given the S-Lab 4s light weight. On the trail, these shoes feel as fast as they look. Owing to their light weight even after lots of miles they don’t bog you down. The same goes for the highly breathable upper. Despite running when it was quite hot, my feet never felt like they were overheating. There are a few types of surface where I run and the s- labs performed admirable on each. Utah is plagued with dry sand on flat slick rock that, when running up hill, can be pretty tricky. The Salomon S-lab Sense 4 Ultra excelled here with much more grip than I would have expected. When the next step was into sand, the wide front kept them from sinking. When the whole run was sandy I did accumulate a little in the shoe, but I have never found a shoe that doesn’t do this and with the quicklace system they were easy to pop on and off. When transitioning to dirt the Salomon S-lab Sense 4 Ultra performed as I would expect a high end trail shoe to. They are light and responsive and I really forgot about the shoes on long runs, something that only happens with great shoes. Running through mud, they held on to very little debris with the first step and the remainder was shed by the next stride. This was a really pleasant surprise as this was something I was concerned about with the small indents on bottom of the sole. If you run in a place that is rocky, I can not stress enough how great the toe protection is in these shoes. I occasionally run in heavier duty trail shoes just for protection, but the Salomon S-lab Sense 4 Ultra proved this is completely unnecessary. Without feeling overly stiff or bulky the rubber on front acts as a great shield. I hate to admit I did this with a pair of trail running shoes, but I liked these shoes enough that I started wearing them on some of my road runs. The uppers have all the technical components you expect out of a high end ultra shoe. Every shoe company brags that their shoes fit the best but Salomon hit the nail on the head. The “endofit” is an inner sleeve that hugs the mid foot. The effect is a snug fit that provides the necessary support in all the right places without constricting foot movement. The upper is constructed of a very light weight single layer of mesh, making the shoes ridiculously breathable. The nylon infused mesh holds very little water even when soaked, making for fairly dry feet not long after plunging through a creek crossing. Thanks to the quicklace system, the Salomon S-lab Sense 4 Ultra fits like a glove right out of the box and I never had to worry about getting tripped up on untied laces. The quick lace system is simple and easy to use, tightening with a single pull. It evenly distributes pressure across the whole foot without needing to fidget with the laces. I am impressed that even on longer runs the laces never seemed to loosen up. Despite my constant yanking on them to see how durable they were, I was never able to damage the weld holding the lace ends. It does take 2 hands and a little tug to loosen the laces to take the shoes off, but in my book that is well worth the added security during runs. To cap off the lace system, there is a small pocket on the top of the tongue to tuck the laces away. A nice little bonus and I actually wonder if you could slip a small car key in there if you needed to. 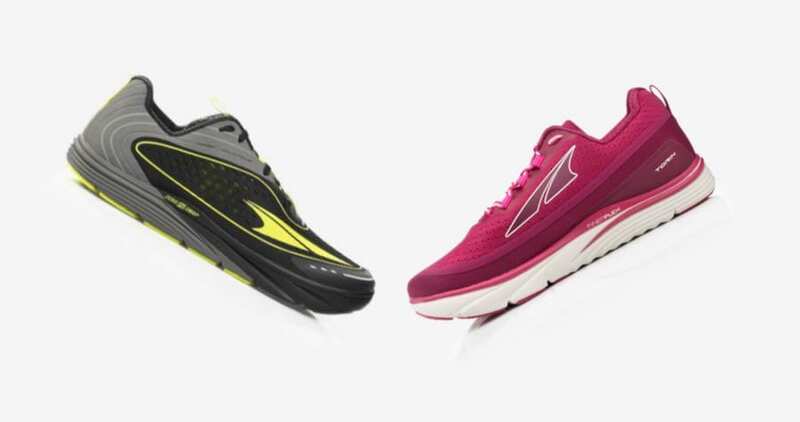 Unlike many other lightweight ultra shoes on the market, these offer sufficient protection. There is a rubberized front portion of the toe box that does an outstanding job preventing toe injuries when running in rocky terrain. It is just thick enough to provide good protection without feeling clunky, a problem with many other trail running shoes on the market. As you can see from the pictures, I kicked plenty of rocks on my runs and my toes came though unscathed. The Midsole is constructed of dual density EVA molded foam, which is the industry standard. It provides the right combination of stability and cushion to avoid foot fatigue. The arch support is adequate, but may be a little flat if you have very high arches. The outsole uses what Salomon calls their OS tendon. This system is designed with multiple types of construction throughout the sole borrowing technology from traditional running shoes, natural running shoes, and hikers. 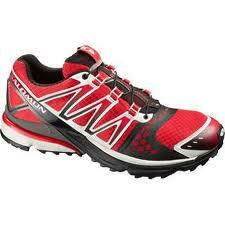 The result is a sole that has great rebound and rolls better than most other similarly designed trail runners. For those of you with bad backs, the Salomon S-lab Sense 4 Ultra has just the right amount of cushion to not feel squishy but keep your back happy. Trust me, I know. Traction is provided by Salomon’s non marking contragrip which does an impressive job on the dirt, stone and loose sand I encountered on my runs. Where I run I am often crossing small wooden bridges which can be quite quite slick with sand but the rubber contagrip does a great job holding on. When I first got the shoes I was concerned that the wells in the soles might catch rocks or retain mud, but in 2 months of running it was never an issue. Simply put, this is a fantastic light weight trail running shoe for when the summer turns hot and dry. There is a lot of competition in high end ultra shoes so I expect a lot when I’m dropping $170, and the Salomon S-lab Sense 4 delivers. 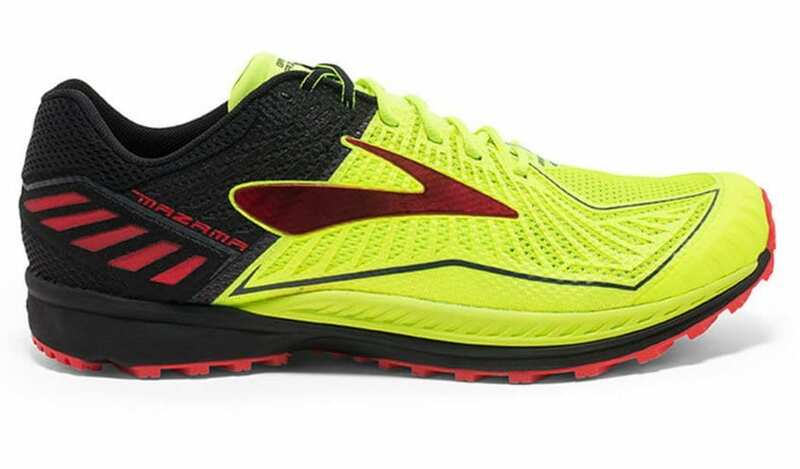 It has all the technical features I expect in a high end ultra shoe: breathability, glove like fit, simple lace system, solid toe protection and outstanding traction. If you live in a cool wet climate this may not be the shoe for you, but otherwise I challenge anyone to find a more thoughtfully designed ultra shoe that executes this well on the trail. Try a pair, you will not be disappointed. For more info see Salomon Running. Noah is a very happy guy. This is because he loves the outdoors and spends LOTS of time in it. He grew up in New England snowboarding, mountain biking and camping when he was young. In 2012 he followed his love of the mountains to Utah and now lives in the foot hills of the Wasatch Range. If there is snow, he is skiing/riding at Snowbird or out backcountry touring. When the powder melts, he is a competitive mountain biker (with a recent 2nd place finish at the grand traverse teamed up with another of our reviewers), avid road biker, and fills the rest of his time hiking or trail running. His 1.5 year old daughter, wife and 2 dogs are his trail companions.